Has Oprah lost the plot? On Channel Seven Today Tonight I was interested to see Dr David Millikan speaking intelligently about Oprah's shifting sands as she engages and entertains New Age ideas, particularly the latest crazy book she is promoting. David is from Geelong. 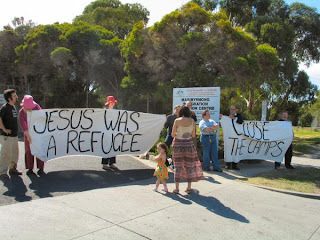 and he is a Uniting Church Theologian working in Sydney. He has spent several years investigating cults. Regarding the book Oprah was enthusiastically promoting, David said it's like a cult. In an ABC interview a while back David said, "I think people are at their best and at their worst in religion - sometimes... at the very same moment. For that reason I say you cannot praise religion enough for the way it has ennobled the human soul, but then I also say you cannot criticise religion enough for the damage it has done because it's my view that when faith goes bad, when religion goes bad, it causes more pain than anything else." 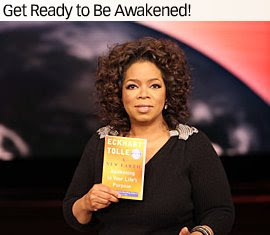 This time Oprah has not only recommended a book but she has gone into business with the writer of gobbledygook mixed with platitudes and a few half-truths, as some New Age writing is. For one view read one view of the situation. This morning the fence man put up a 220 foot fence in three hours - after the uprights had gone in with cement yesterday. Seven foot high! There goes the neighbourhood. For six weeks one little black dog from two doors down has had the run of three compounds, even barking at us as if we don't belong! 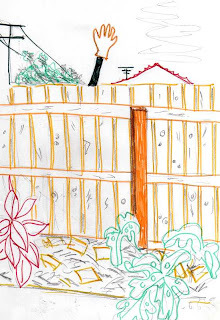 Anyway with the plan for four units going up next door, Chris, the owner of the land, decided a high fence was a good idea. There is not much chatting over fencelines these days. You have to hold up a glove on a stick to say hello! 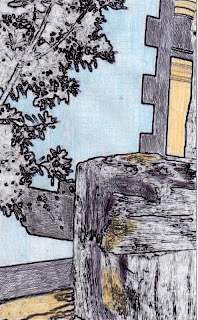 When I was a child we even had gaps cut into the fence or a small gate to run in and out of the neighbour's gardens! Not now. People want PRIVACY! So here are quick pics of the new fence. It's a bit different from living in a Fijian village like Vatuadova, our other home, where there are no fences between houses. A couple of months ago Bill's house was here and it was demolished in a few hours to clean the compound for the planned units. 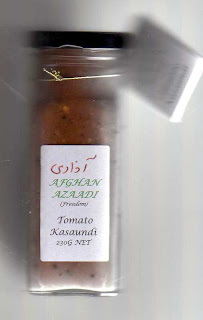 What has Afghan Azaadi (Freedom) Tomato Kasaundi got to do with a Detention Centre? Once a week a group of Geelong and district women meet together in a kitchen (approved by the Health Department) to make chutney using recipes from Afghan refugees - what the refugees remember from their mothers' kitchens. These are sold to fund aid for Afghan refugee families. But there's more to the story than that. This morning at our Geelong Women's Znterfaith group we had a Queenscliff woman from the Rural Australians for Refugees as guest speaker. 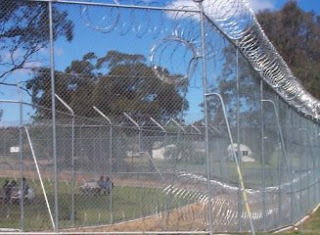 She told us of two Afghan young men who were in the Baxter Detention Centre for years and years and the difficulties they had in proving that they were genuine refugees. 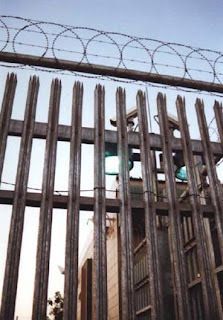 After years they eventually gained temporary visas to allow them out of incarceration - which is worse in some respects than a prison as there are so few rights for visitation. Our speaker had been going to Baxter (out of Port Augusta) in South Australia, a long journey each way - several times to talk with her 'adopted' sons. 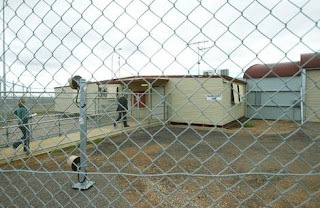 The detention centres in Australia are not government-run but are privatised and the rules and regulations are dreadful. One legal hurdle after another is placed in front of these detained people until they become clinically depressed. Anyway right at the end of the story, the speaker said that one of the men she had helped and who has not seen his wife and daughter for eight years had recently gained Permanent status so was able to obtain travel documents to go to Pakistan (but not to Afghanistan) to find his family who are in a refugee camp there. This morning at 3 a.m. our speaker received a phone call from Pakistan. It was to say 'Mohammed' had just met his wife and daughter and his eight-year-old daughter 'is gorgeous'! He wanted to phone his Geelong Mum who had been his supportive Aussie for so many years. We asked the speaker why she had this passion to help refugees and she said she was just an ordinary grandmother and mother who once heard someone speak about the detainees who were incarcerated after being washed up on Ashmore Reef and she decided to do something, just write a letter to one or two of the people detained. 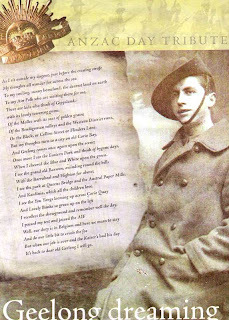 On the weekend when we think of the brave young men and women we call the Anzacs the local newspaper, the Geelong Advertiser has been running stories about a couple of rascals who seem to have mishandled $70 million of other people's money. 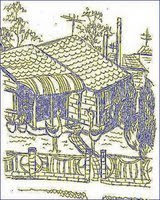 Chartwell is the name of this financial company playing on the stock market with a group of gullible lenders, including one of our Geelong writers/artists, Ann who gave her story to several newspapers when she discovered how her friend had diddled them all. 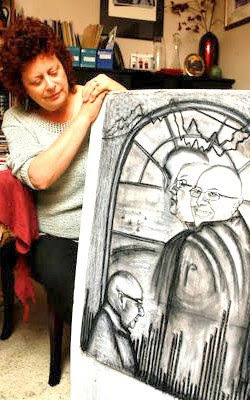 Here is a photo of Ann in happier days when she made a large sketch of one of the rascals. And the other picture is NOT the blues brothers but the two big spenders. These are actually on paper, and not just in cyber space. But I started wtih a printout then added colour. Click on picture to see enlarged. The Martiime Museum is a rather striking building with its bold dark grey against the white. It was once a stables, and a rather fancy one at that - for the building next door, Osborne House. The Geelong Council have major development plans alas and the museum might have to be relocated as the money-spinners move in. Using the photos taken at the Maritime Museum the other day, I played around with them - negative, cropping, edge, etc. and put pictures together as a collage for now. Later I might choose which ones that may be useful for small drawings and paintings. So far they are mainly in the ether and not on real paper! 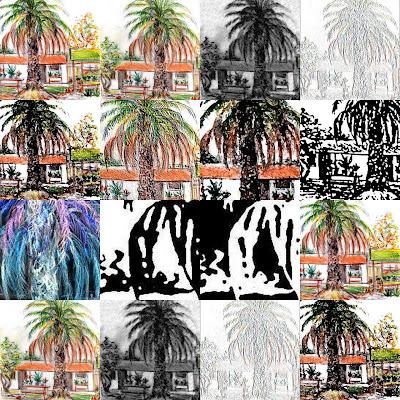 It is certainly an inexpensive way of making many pictures! 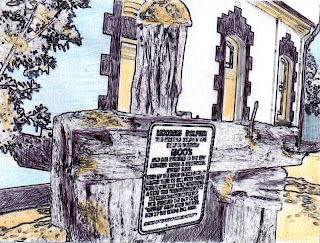 No paper, no pastels, no paints! Click on picture to enlarge a little. It's a public holiday in Australia today for Anzac Day, remembering particularly an event at Gallipoli during World War 1 when thousands of young Australians and New Zealand soldiers died, mainly due to a blunder of planning by British army leaders. There are sevices at dawn, marches, and gatherings of mainly older men and women remembering fallen comrades from various wars. 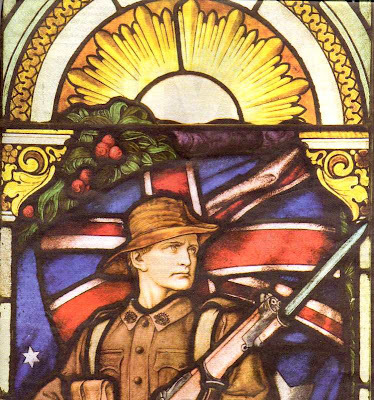 The pictures here are from a memorial window at Melbourne Teachers College. 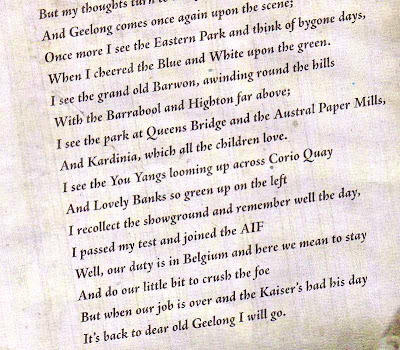 I was surprised to see a photo of my friend Lyn James in the Geelong Advertiser with a story about her father Ian McDonald, who was a soldier in Belgium during World War I and he wrote a poem from there, remembering his home town. 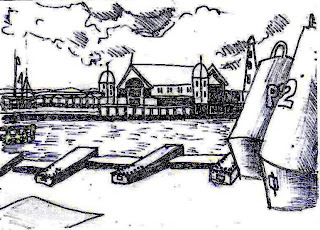 As a break from sorting books at the Donation in Kind Depot I did a quick sketch next door at the Maritime Museum. 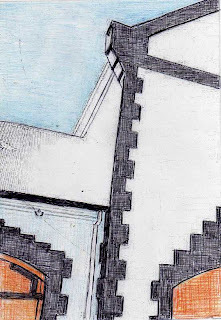 Then this evening while watching television I added a bit of biro. 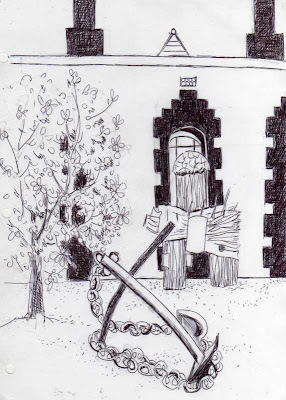 I'm afraid the chains on the anchor look a bit like squashed pasta. I might take some photos next week to use as a reference for some better drawings/paintings. This building was once the stables of Osborne House I believe, a very nice building that, alas, is to be altered to be turned into some kind of development in the future. 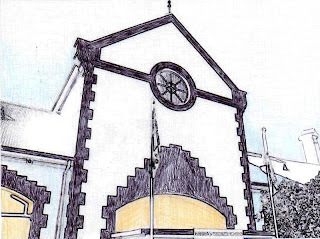 It now houses classrooms for training adults as well as a very busy local history resource. But what does it mean? This month in Neighbourhood Watch there is a focus on youth so let’s think about how well we do with the subject of older people relating to the younger people. At the bus stops and on the Newcomb bus people are friendly, chatting, telling stories, but often we stick with our own generation and in our comfort zone. Perhaps this month let’s step a bit further out and engage in conversation with someone who may be twenty years different from us – older, or younger. A neighbour is not just the person who lives next to you. 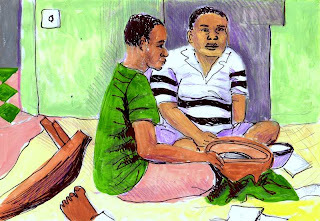 He or she is the person we meet in the shops, offices, schools, day-care centres, the sports field. And our suburb of Newcomb is a very good place to live. 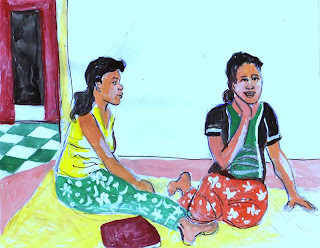 And, there are times when a neighbour – or other person, not our relative, comes to our aid when we experience something dramatic and life tears us apart. To facilitate these tough times, we need to experience the day to day chit-chat to develop a relationship of trust. One of my mottos is ‘Shelter your family and loved ones – and - watch out for your neighbour. Yesterday I read half of a novel by Margaret Drabble - The Red Queen - the second half after ten pages up the front. (I don't always read a book cover to cover starting at page 1). 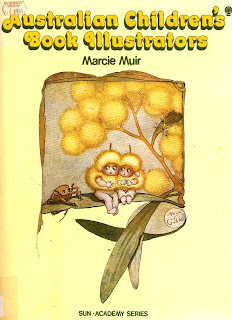 It's a strange book that even has the author as a character in the book near the end. There are two distinct parts to the novel, two storeylines set 200 years apart, the world of a Korean princess, and the world of an English academic going to a conference. It's about ghosts, obsessions, madness, loss of a child. It is based on research and truth and fiction collide, so in the end the reader doesn't know what is the truth. Anyway I have yet to read the first couple of hundred pages about the Korean princess! I googled the title and found a response from a blogger who hated the book! I read about this in today's Geelong Advertiser but then found a better article in The Economic Times - more detailed, accurate I expect. SYDNEY: Satyam Computer Services will build a new software development and training campus, creating 2,000 jobs, in the cosmopolitan town of Geelong in Australia's Victoria state. Speaking at the future site of the development at Deakin University's Geelong campus on Monday, Satyam founder and chairman Ramalinga Raju said: "We are delighted to be able to announce Geelong as the location of the new Satyam Technology and Learning Centre and we look forward to cultivating new friendships with Victoria and Australia." Geelong is located 70 km southwest of Melbourne, the capital of the state of Victoria. State of Victoria's Premier John Brumby said the centre was expected to boost the state's economy by around Australian $175 million ($161 million) annually within a decade. Brumby said: "Satyam's decision showcases what Victoria and regional centres like Geelong have to offer big business. This is great news for the people of Geelong and Victorians generally. This new project will more than double the current number of Satyam jobs in Australia." The new centre will mirror the company's campus-like facilities at the head office in Hyderabad and feature facilities for training, research and development, a convention centre and housing. Satyam will source around 70 percent of all recruits for the new Geelong centre from Victorian and Australian universities. The company has laid major emphasis on local employment generation and today over 42 percent of associates in Australia are local nationals. It will train and employ local ICT professionals to develop and provide end-to-end IT solutions for Satyam's 570 customers including Coles Myer, Medibank, National Australia Bank (NAB), Nestlé, Optus, Qantas, Queensland Rail, Suncorp, Telstra, Unilever, Vodaphone and Westpac. The state's Information and Communication Technology Minister Theo Theophanous said: "Victoria is the largest source of ICT university graduates in Australia so it is fantastic to see global companies recognising the value of our highly-skilled workforce." Victoria's ICT sector generates annual revenue of $24.4 billion, exports of over $1 billion and employs around 85,000 people, over a third of the national ICT workforce. Deakin University has recently signed a Memorandum of Understanding (MOU) with India's major biotechnology company, Biocon. Biocon is helping Deakin in establishing a mammalian cell bioprocessing facility at the Geelong Technology Precinct (GTP) at the university's Geelong Campus. Some of the other top Indian ICT companies already located in Victoria include Birlasoft, iGate, Infosys, NIIT, Patni, TCS and Wipro. Earlier in March, India-based global integrated technology and operations company, iGATE Global Solutions Ltd announced that it would be investing $2 million and creating up to 40 new jobs in the picturesque and affluent historic gold mining city of Ballarat in Victoria. It was the grand opening today so everyone seemed to abandon the shopping strips in the suburbs and the family businesses to have a gander at the re-opened Westfield shopping centre in Geelong. Thousands of people were there as the crowds flocked inside. I was there 15 minutes (in between a writing group and a Bible study) and that was enough to get the gist of it. It's not a good place if you are claustrophobic but of course all the magic of millions of dollars have sparkled up the place and the variety of food and coffee is tempting. 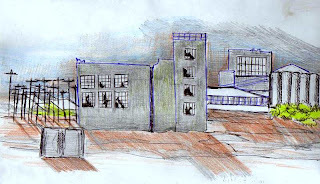 And many people think it is a marvellous project, not monotonal at all as in my drawings. 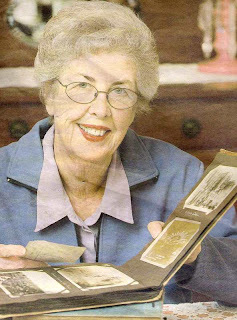 For real photographs, history of the project and a video go to an article and pics in the Geelong Advertiser. Each week we go and sort books for Rotary Donation in Kind to send to places like Fiji, Papua New Guinea, Vanuatu, hoping to find hundreds of beautiful story books for primary schools and secondary schools, gifts from schools, shops and libraries. We find so many treasures. It is hard to believe they are given away. But...some are just not suitable - Year 12 solid science and maths books, pristine, brand new, we don't send. Tattered books also go into recycling. Sometimes I borrow a book or two for a week to glance through, then give them back! 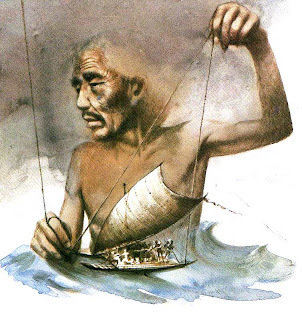 One took my interest - on children's book illustrations and another with paintings by Ingpen. 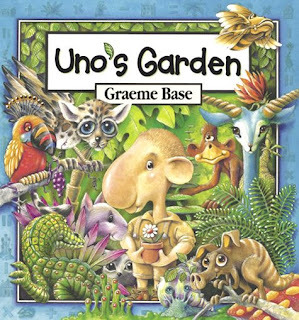 Graeme Base is a super book illustrator in children's picture books and I heard him talk one time at a writing seminar. 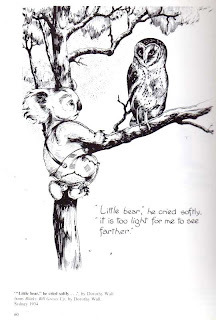 The shift from rather innocent stories over the years to very dark themes is noticeable particularly in the fiction read by secondary school students in Australia. We don't send stuff that is about demons/devils/witchcraft but fantastic dragons are okay! 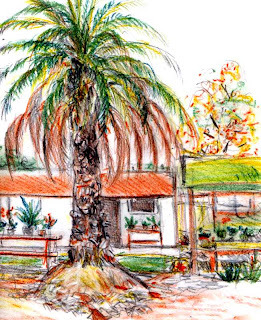 How much is a date palm worth? Well, Peceli thought, Hmmm nice money for it. I said, 'Hey, wait on. It's the best tree in our compound and is probably thirty years old or more. And the palm leaves remind us of Fiji.' The guy gave us his card and we said we'd think about it. I rang a nursery and asked them the financial value. They said a tree like this would be about $1000 per metre. And ours is about 10 metres tall. $10,000! No, it's not for sale anyway. The nursery owner said that if it was to be shifted it would cost over $1000 to move. Also it would really deteriorate and nearly die for three years before it recovered from the move. 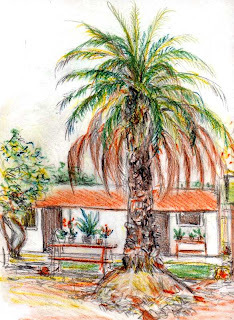 So I decided to draw this very valuable tree, by standing in the empty block facing the tree and behind it is our garage which is never used for a car. I used mainly pastels, then sprayed it to set the pastels. The smell has kept Peceli out of the lounge room for two hours! Then I messed about with variations using Photo-edit. The pic was too big for the scanner so that's why there are two pictures. 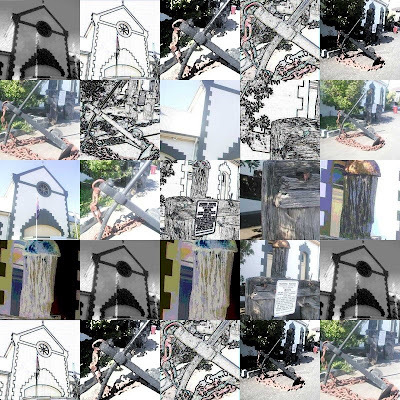 Then I made a collage with Picasa. Not doing much drawing this week but here are a couple of rough sketches I did at the home of some of our friends (they mightn't be our friends after seeing these crook versions of themselves though!) 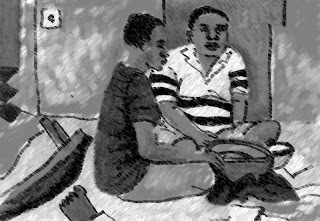 And the picture of the two men, now in charcoal and chalk from Photo-edit. 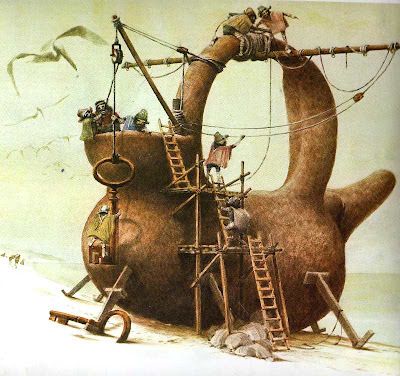 A book illustator, Robert Ingpen, lives in the Geelong region and has had a prolific career as an illustrator of children and adult books - fiction - especially fantasy and books about nature. 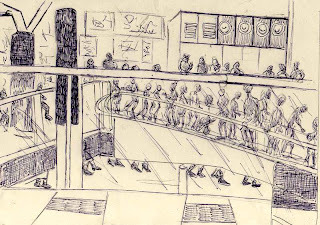 Born Geelong 1936. educated at Geelong College 1957, with a Diploma of Graphic Art at RMIT in Melbourne 1958, he was appointed as an artist at CSIRO to visually interpret and communicate the results of scientific research. Since then he began work as freelance designer, illustrator and author. He was also a member of a United Nations team in Mexico and Peru until 1975. 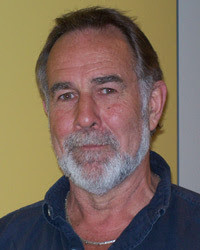 Robert has written and/or-illustrated more than 100 published books. 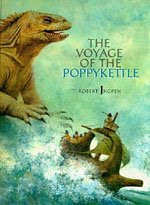 These include children's picture books and fictional stories for all ages. His nonfiction books mostly relate to history , conservation, environment and health issues. 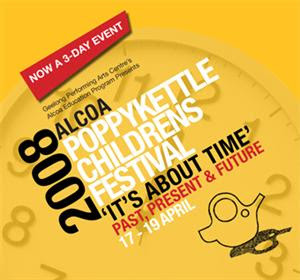 Every year in April the children of Geelong join in a festival, called the Poppykettle Festival which is based on the book by Ingpen about the journey across the Pacific of a group of elves in a tea kettle and they arrive in Geelong. Recently Peceli was given a lovely barbecue (when his golf club upgraded their barbecue) and he only had to buy the gas bottle and gas. We tried it out last week with marinaded chicken pieces etc. just for three of us, and then last night had a small party with about a dozen friends - from various Pacific Islands. A lovely evening of telling stories and sharing fine food. 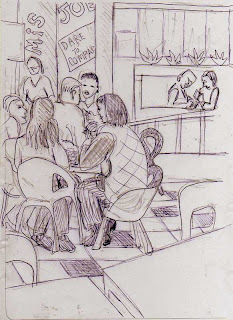 Our local cultural group meets about every fortnight on a Friday night. 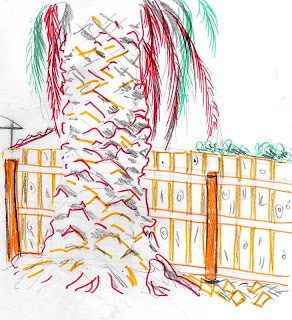 We still haven't got a new fence so the dust continues to blow across the empty block next door but there are signs of some action happening soon - a guy came yesterday to trim back the trunk of the huge date palm as over forty years or more it had taken over a foot or more of the neighbour's space! From the Donation in Kind depot, looking north, you see these old derelict buildings. I think this one was once a powerhouse. Maybe it will all come down, bulldozed like our neighbour's house, to make way for clean development because it is beside the sea. The other pictures are of Smorgies on the pier but they are a bit rough.